Remote staff benefit from the flexibility and self-direction they have in their jobs; but they can also be at a distinct disadvantage if they feel disconnected. It's important to make sure that your remote workers are not only equipped, but engaged and aware, fully part of the team. 1. Hold regular team meetings with all staff. A regular meeting offers all the staff, both on-location and remote, a chance to stay connected with each other and with the team leader. 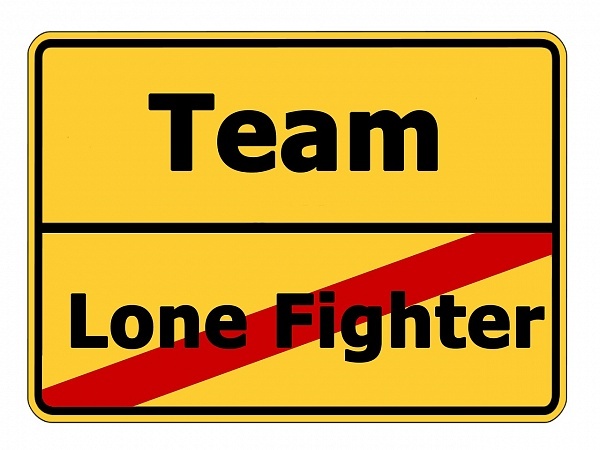 If you want your team to work together well, this is not an optional exercise. Use the time to review goals, explain areas of focus, set agendas and timelines, get input and reports, and discuss any issues or ideas. Choose a regular time: weekly, bimonthly, or monthly could work. Set it as a recurring event so that everyone can put it on their calendars. Limit the meeting time: there's nothing wrong with a bit of socializing (in fact, that's kind of the point) but if you let the meeting eat up more than 60 - 90 minutes, people will start to resent the loss of valuable work time. Respect everyone's time by setting a clear starting and ending point, and sticking to them. 2. Set up virtual break rooms and command centers. What remote staff tend to miss out on are the "unofficial" interactions that take place, daily, in an office environment. Help them find a meaningful way to interact by setting up a virtual “break room,” such as an instant message service used by all team members. This kind of virtual social interaction keeps people in-house and away able to instantly communicate with the same ease that one cubicle mate can speak to another. Having a designated virtual "command center" is important as well, so that all team members know wh ere to go to find messages, important updates, needed documentation, calendar changes, and so on. You can set up separate messaging groups and command centers for separate teams, if needed, and have one central command center for all workers to find general work information important to everyone in the company. 3. Check in with your remote workers just to check in. It's easy for managers to neglect remote workers except when they need to give instructions, get reports, or otherwise "do work." Yes, of course, work is the point. But good relationships make work better and more meaningful. Make it a habit, as a team leader, to touch base with your remote team members now and then… for no particular reason. Just say Hi. Check in. Ask how things are going. Give them a chance to ask questions, share ideas, or just get to know you better. Casual conversation gives you a chance to get to know your remote staff and goes a long way toward building trust and loyalty. If you don't do it deliberately, however, it won't happen. There are no 'chance meetings in the hallway' with remote workers, so be intentional about those small, open-ended conversations. 4. Keep remote workers in the loop. If you're working entirely with remote staff, you are probably in the habit of communicating via digital means. But if you have some in-house staff and some remote staff, watch out for the error of keeping some people informed and not others. If you make an announcement on-location, be sure the same announcement goes out (preferably very close to the same time) digitally to your remote staff. New happenings, staff additions, upcoming changes, promotions, and so on are all great information that people working in-house will pick up without even trying, while remote staff can completely miss them. Though the company news may not directly impact your remote workers, not knowing can definitely impact how connected and invested they feel in their work. If there is a lot of company news on a regular basis, put together a regular internal newsletter to keep everyone informed. 5. Mandate occasional on-location times. If possible, designate occasional times for your remote staff to come to your office. If there is no "office" and everybody works remotely, then plan an occasional conference or retreat for all staff members. Camaraderie happens, of course, even in digital environments; anyone who's ever met their mate through an online dating service can tell you that. But having face-to-face time builds a level of trust, understanding, and cooperativeness that makes team unity even stronger. Aim for at least an annual time together, and see the benefits carry out into the continued digital - but real - daily connection you have with your remote staff.